We move metal with our hands. We use techniques that are ancient - practiced throughout centuries to create beautiful objects. We use techniques that are new, contemporary, and innovative – pushing the boundaries of our craft. Inspired by a project called Nuit Blanche, by the Metal Arts Guild of Canada, I have created this collection that shows you our process. Every new technique we learn we need to practice, experiment, and make mistakes. 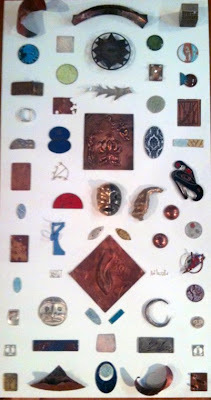 Every spark of an idea we think we could turn into metal we need to explore, hammer, enamel, bend, push, twist, and turn. This is our process. A collection of our thoughts, passions, mistakes, ambitions, defeats, struggles, and successes. A collection of metal objects – a collection of our journey to become experts at our craft. 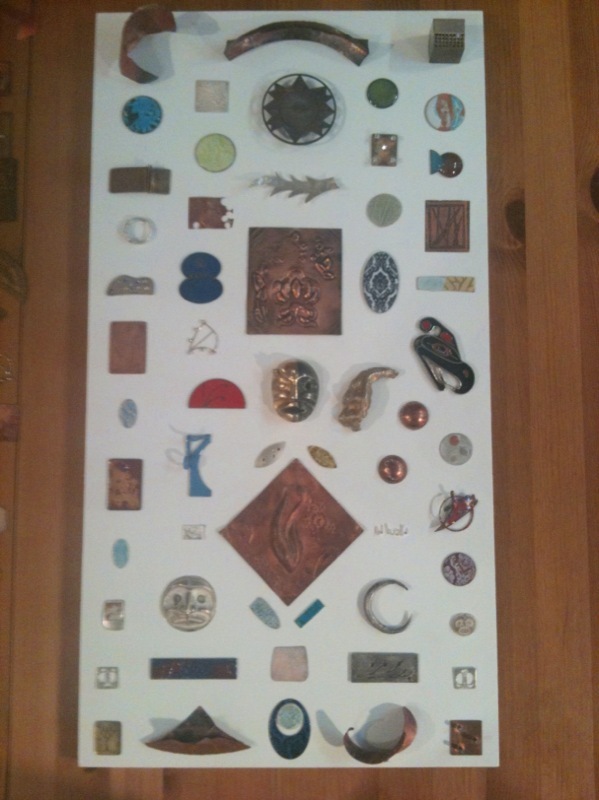 This is a wall piece that I created with the help of the other talented jewelers in my studio. It will be on display at our studio during the Eastside Culture Crawl. It is a collection of all of our practice pieces, our mistakes, & our experiments.